Tim Schmoyer is a YouTube Certified Consultant. Not only does he study audience growth, but he practices it every day on his own YouTube channels and that of his clients. 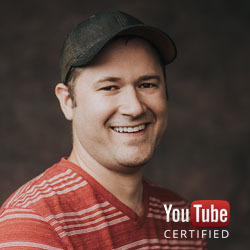 Tim can discuss pretty much anything related to YouTube, although his area of expertise lies in audience development and forming business strategies to achieve your YouTube goals.